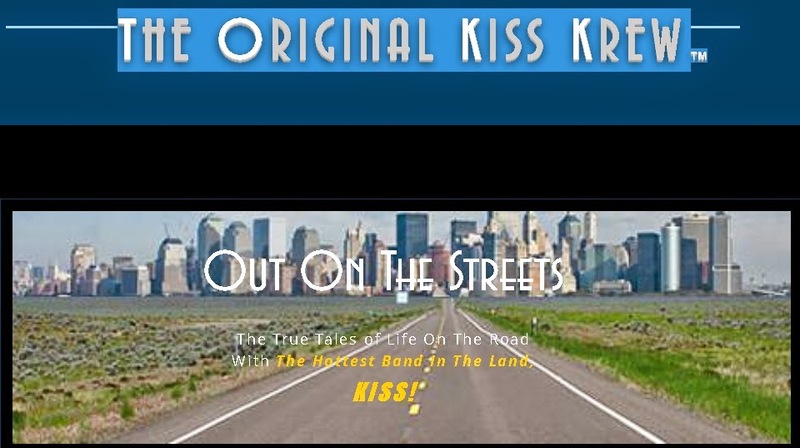 We proudly announce the launch of ‘theoriginalkisskrew.com”™ website. On this site we will publish chapters from our upcoming hard cover book “The Original Kiss Krew – Out On The Streets”(c), a book that YOU the REAL Kiss fans have been waiting for. You’ll read stories of OUR experiences during the early days of working for, and helping to make Kiss The Hottest Band In The Land, told BY US in OUR OWN WORDS. Periodically we will publish a number of chapters online, totaling a MINIMUM of 20 pages in each "edition". We will continue releasing these editions until we have released the COMPLETE book, totaling at least 200 pages, which we will then publish in HARD COVER printed format. Each of the online editions will be available for download for $3.50 PER EDITION, with the final HARD COVER book containing ALL online chapters/editions offered for purchase at $25 each. A select number of HARD COVER copies individually signed by Peter Oreckinto (Moose), J.R. Smalling & Rick Munroe will be offered for purchase at $40 each. Fans that have purchased 5 or more editions online will be able to purchase the Hard Cover book at a deeply discounted price. In addition to the previously released online editions, the Hard cover book will also contain never before seen photos and additional Bonus material. Thanks for the love that you’ve shown us over the years. We look forward to sharing our stories with you.